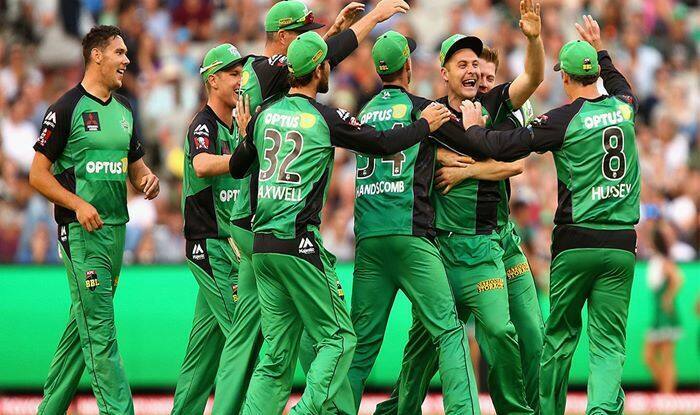 BBL 2018-19 Melbourne Stars vs Perth Scorchers Match 25 Live Cricket Streaming And Updates: Melbourne Stars will host Perth Scorchers in the 25th encounter of the Big Bash League 8 on Wednesday at Melbourne Cricket Ground. BBL 2018-19 Melbourne Stars vs Perth Scorchers Match 25 Live Cricket Streaming And Updates: Melbourne Stars will host Perth Scorchers in the 25th encounter of the Big Bash League 8 on Wednesday at Melbourne Cricket Ground. The hosts are on a winning streak since past three matches off their five BBL encounters and are among the title favourites. Whereas, Scorchers are at the last spot of the points table, with only two points off their six outings. With captain Glenn Maxwell, Marcus Stoinis, Peter Handscomb, and Adam Zampa being roped in Australia’s ODI squad against India, the Stars will play their next three BBL matches in the absence of their key players. So, the question is will Dwayne Bravo, the lone dependable player be able to continue their winning momentum in the upcoming matches till the other players come back after the ODI series? Meanwhile, this can be the best chance for the Scorchers to bounce back in the tournament, with the likes of Cameron Bancroft, who has made a comeback in the tournament after almost nine months, would be in search of gaining the confidence and get the things done a right way for him as well as for the team. Here’s all you need to know about the 25th match of BBL-8 between Melbourne Stars vs Perth Scorchers, at the Melbourne Cricket Ground. What time does the Melbourne Stars vs Perth Scorchers match in the BBL 8 starts? The Melbourne Stars vs Perth Scorchers match in the BBL8 starts at 1:45 PM IST, January 9 (Wednesday). Where is the Melbourne Stars vs Perth Scorchers match in the BBL 8 being played? The Melbourne Stars vs Perth Scorchers match will be played at the Melbourne Cricket Ground. Which TV channels will live broadcast (in India) the Melbourne Stars vs Perth Scorchers match in the BBL 8? Melbourne Stars vs Perth Scorchers match in the BBL8 will be live broadcast on Sony Sports Network in India. How to watch the free online live streaming of Melbourne Stars vs Perth Scorchers match in the BBL8? The free online live streaming of Melbourne Stars vs Perth Scorchers match in the BBL8 will be available on Sony Liv app and Jio TV. What are the probable playing XIs of Melbourne Stars vs Perth Scorchers match in the BBL8?